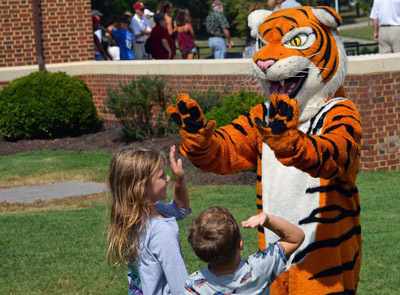 Tiger mascot, Ryan Kluk '17, uses his energy to take advantage of all Hampden-Sydney has to offer. Many have met Ryan Kluk '17, most without even realizing it. He parades through the crowds at a football game, passing out high fives in a suit—a giant tiger suit. He is Yank the Tiger. The man beneath the costume is the embodiment of tiger pride. Ryan's immense appreciation for the school is palpable. 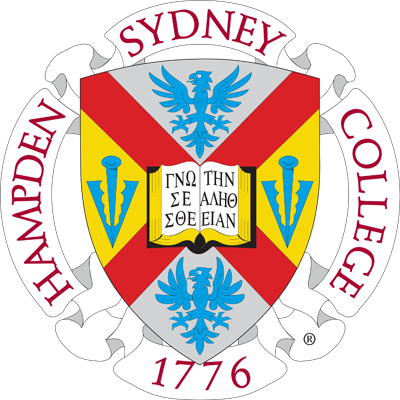 "I just love Hampden-Sydney," he says. "The campus is gorgeous; it's gorgeous when there is a fresh plate of snow in winter, when the flowers are blooming in spring, when the sun is at high noon in the summer, and when the leaves are changing colors in the fall." Ryan held the honor of portraying Yank the Tiger all four years of his college career. His experience as a mascot, however, began far before Hampden-Sydney, when he was in middle school. His five plus years of mascot experience and a contagious energy made him a shoo-in for the job at H-SC. He uses that energy to do a lot more than amp up the crowd. Ryan is the definition of an active and involved student. Baptist Campus Ministries President, tour guide for the Garnet and Grey Society, Intramural Director, Outsiders Club member, and Resident Advisor are just a few of the roles he took on campus. But it's not just extracurriculars that Ryan focuses on. As a double major and double minor—Biology and History, Rhetoric and Theatre—he means business when it comes to academics. He has also studied abroad twice for six weeks a piece. 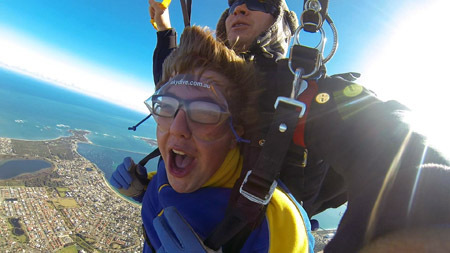 First he participated in the VA Program at Oxford the summer before his junior year, then the following year studied at Murdoch University in Perth, Australia. Ryan admits he is a huge proponent of study abroad. In addition to the benefits attained from experiencing other cultures, he believes that those who don't study abroad in college, "aren't taking advantage of what the school and the world have to offer." It's a wonder how Ryan takes advantage of so much the campus has to offer. He manages by multitasking and paying special attention to time management. Mainly, though, he has made Hampden-Sydney and his fellow brothers a priority. Ryan sees the best in people, noting, "I have high standards for my peers because I know what they are capable of." His actions are driven by his service mentality, which he said would drive him to take on five or six more things if the school needed him to. "I love to see people reach their full potential, and then break that, too." His attitude and actions are modeled after the faculty at Hampden-Sydney. Hours of one-on-one help from Dr. Lowell Frye, consistent encouragement to break boundaries and push himself from Dr. Claire Deal, and assistance and advice during the summer from Dr. Mike Wolyniak—all are examples of ways Ryan received individual attention from his Hampden-Sydney professors. He says that he developed personal relationships with his professors because they care and are dedicated to the education and development of the young men they teach. Ryan will take this model of service with him post-graduation. He has signed a contract to serve in Teach for America, working in Arkansas as a high school social studies teacher. 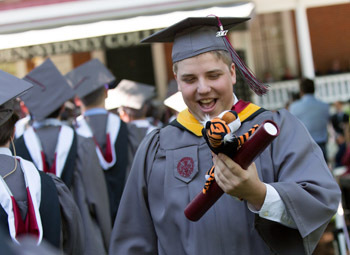 Regardless of where the future takes him after that, this Hampden-Sydney man will carry his tiger pride, and his enthusiasm for life, with him.